With the Syrian revolution going into its fourth year, medics are still falling in the Syrian conflict. However, the Syrian government is the main responsible for the most part of the violations that target medics in quantity and quality as it is still targeting hospitals, health centers, pharmacies, and ambulances in the rebels-held areas in addition to targeting medics by directly killing, torturing to death, arresting, kidnapping, or harassing them under the pretext of providing medical services to people and factions that oppose the Syrian government. 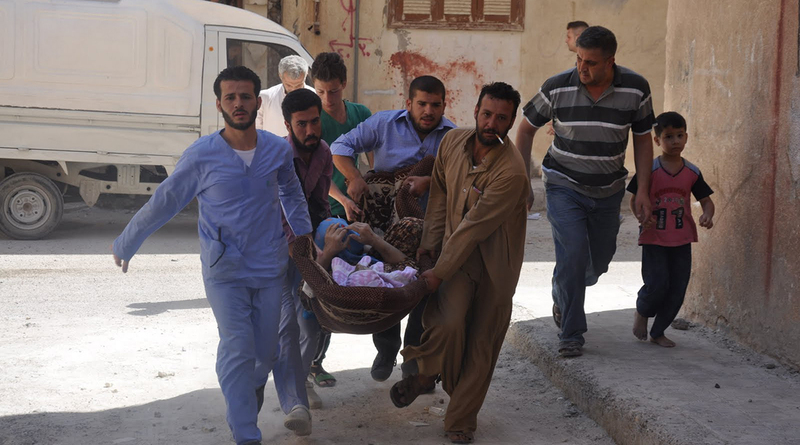 The Syrian government have blatantly violated both the International Humanitarian Law and the norms of the Humanitarian law and committed crimes that can be classified as war crimes when it targeted medics as well as crimes against humanity through these numerous acts of killing. SNHR, as a national and independent organizations whose purpose is to defend human rights, is holding the president of the Syrian regime and commander-in-chief of the Syrian regime army Bashar Al-Assad responsible for killing, directly targeting, torturing, and arresting medical workers as the one who gave these orders. We also hold the Syrian government including all its departments directly responsible as well as the governments that support the Syrian regime such as the Iranian, Russian, and Chinese governments in addition to Hezbollah. The opposition should uphold the responsibility of tracking and following the perpetrators of these violation in its territories in order to prevent them from committing such acts. It should also do more than issuing condemning statements.